A professional development survey is administered every spring to educators across the state to plan trainings, services, and provide technical assistance. 2018 Needs Assessment Results-Click here to see the needs assessment report. 2017 Needs Assessment Results-Click here to see the needs assessment report. 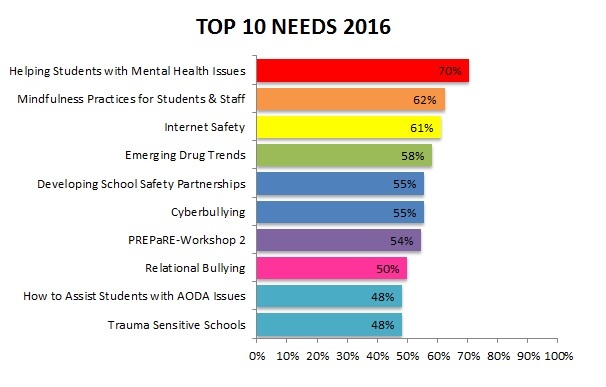 2016 Needs Assessment Results-Click here to see full needs assessment and summary reports. 2015 Needs Assessment Results-Click here to see full needs assessment and summary reports. 2014 Needs Assessment Results-Click here to see full needs assessment and summary reports. 2013 Needs Assesment Results-Click here to see full needs assessment and summary reports. Please visit this website and sign up for our newsletter to receive updates and professional development events. Trainings were held in: CESA #1, #2, #3, #4, #6, #7, #8, #9, #10, #11, #12, and online. 506 Educators were trained in Cyberbullying, Emerging Drug Trends, Helping Students Through Trauma and Loss, Mental Health, Behavior Interventions, School Safety (PREPaRE), and School SBIRT. Participants were from 196 school districts and 24 organizations. 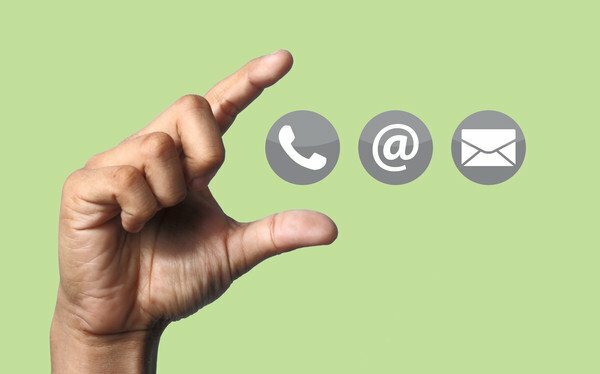 Technical assistance is offered by email, phone, and through partnerships with CESAs holding shareshops/networking meetings. In addition to the number of people trained, 390 attended CESA shareshop meetings. 1,245 youth, school staff, and community members were trained in QPR (Question, Persuade, Refer) suicide prevention. Our website traffic doubled from the previous year (2,234 in 13-14) to 5,459 unique visitors in 14-15. 4,302 people read the monthly e-newsletter. We had 721 views of the online videos on AODA warning signs and family dynamics of substance abuse and 166 views of the OTP and E-cigarette videos created by the WISH Center. An end of the year summary is also available by a short video: https://youtu.be/MIxW50z3WHw. (Presented to CSN on June 22, 2015.) Note the numbers presented in this report may be slightly different than the video and cover summary report attached that were created mid-June due to activities and web traffic that were still occurring. I could not be prouder of the 2014-2015 accomplishments of the Wisconsin Safe & Healthy Schools Center. We look forward to continue to grow the capacity of the staff to provide evidenced-base practices to schools and communities in Wisconsin to ensure that every child is safe, healthy, and connected.